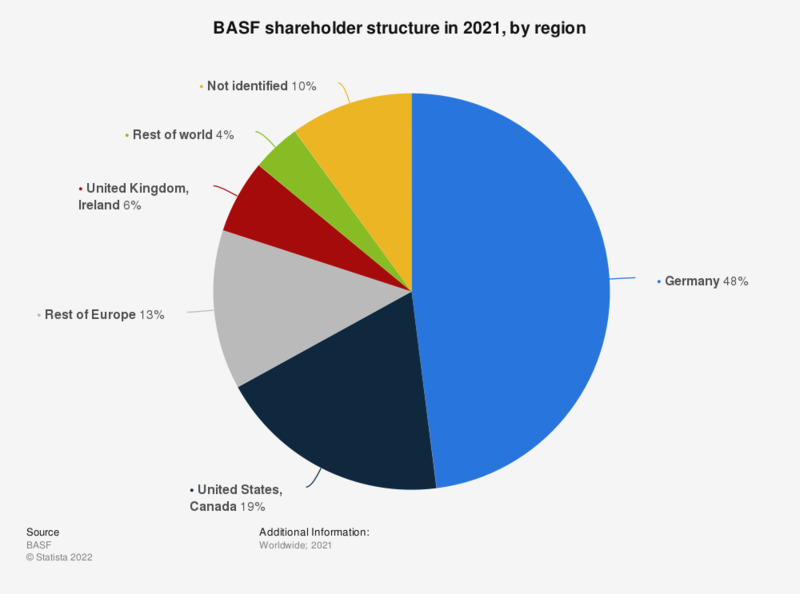 This statistic depicts the BASF shareholder structure in 2018, sorted by region. In that year, some 20 percent of all shareholders were from the United States and Canada. BASF is the largest diversified chemical company worldwide and is headquartered in Ludwigshafen, Germany.